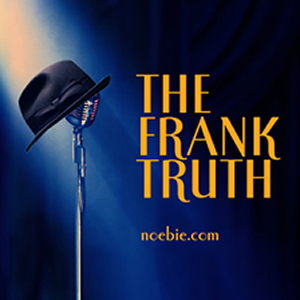 The Frank Truth: Episode 124: It's Pal Joey! Episode 124: It's Pal Joey! This week on The Frank Truth Sinatra Podcast, we take a look at one of the coolest and classiest musical adaptation films of all time, starring Rita Hayworth, Frank Sinatra and Kim Novak. Tilt your hat to the side. From 1957, it's Pal Joey! Nat Hentoff on Frank Sinatra, Jr.
eMusic - Billy May For President by Pat Longo with Frank Sinatra, Jr. Thanks to our sponsors. You'll find GoDaddy Discount Codes, information about our eMusic Free Trial and Budget Car Rental Coupons at OFFERS.NOEBIE.COM. Be sure to sign up for our eMusic offer if you'd like to get a copy of either the 1995 Pal Joey cast recording or the Pat Longo album with Frank Sinatra, Jr. Either one is available for free as part of your 35 downloads under our trial offer. This podcast is licensed by BMI and ASCAP. We encourage you to purchase and enjoy legally distributed music. 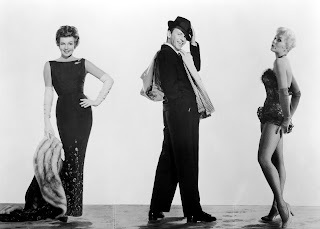 I just watched Pal Joey the other week and I was amazed at the performances of Novak, Hayworth, and Sinatra. 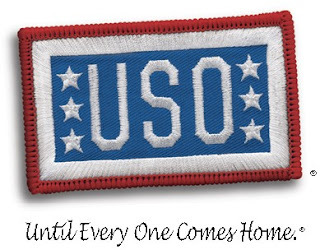 Don't forget Snuffy! Hayworth was unbelievable in that dress when she sang after Frank auctioned her to the highest bidder. The scenes of SF in 1957 blew me away, the ferry ride approach, the use of Coit Tower as Hayworth's house (Novak walking away), and the North Beach scenes were so classic. I enjoyed this movie a lot. Well done Brian!